Meem (Michael Moebus) is a respected and pioneering music producer, DJ and radio host from Sydney, Australia - whose inimitable style of funk, disco, soul & electro-boogie has kept dancefloors shaking for close to 20 years. In the late 90’s Meem began performing live at underground dance parties in Canberra (illegal forest parties, art galleries and aquariums) and soon catapulted from a shy art-school raver to a highly sought after live electronic act – performing at The Big Day Out, Sydney Festival, Peats Ridge Festival, Triple J Groove Train, Parklife, and Field Day. Meem has supported internation heavyweights such as Sharon Jones & The Dap Kings, and Jamie Lidell, and he has showcased his live and DJ performances in London, Manchester, island beach parties in Croatia, and summer festivals throughout Eastern Europe. As a sought after DJ, Meem has supported international acts including Thievery Corporation, and Tom Findlay (Groove Armada). Bringing a diverse and expansive music collection to each gig, Meem blends a broad range of styles and genres including funk, disco, hip-hop, afrobeat, dancehall, reggae, dub, latin, jazz, gypsy, electrobeat, jump blues and boogie. As a weekly testament to his love of funk music (and all its related styles), Meem also hosts the long-running and much-loved radio program Back to Funk, broadcasting every Monday afternoon on 2SER 107.3FM. 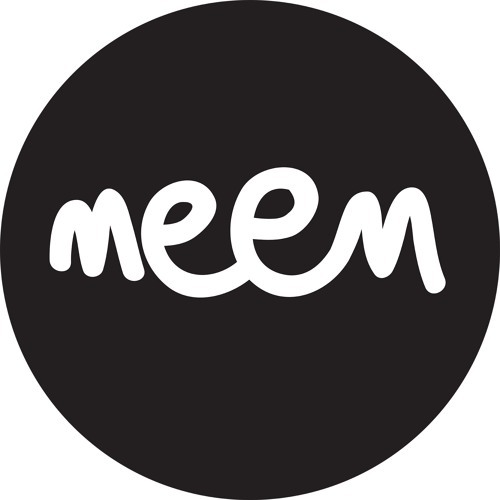 Meem has also achieved design notoriety by releasing almost every release in limited edition, and often handmade, packaging. Destined to become collector’s items, covers have been crafted from wood, cotton, felt and vinyl upholstery. Meem’s CD design has been featured in the UK publication ‘CD - Art: Innovation in CD Packaging Design’ by Charlotte Rivers, alongside cover art for The Pet Shop Boys and design by Andy Warhol.